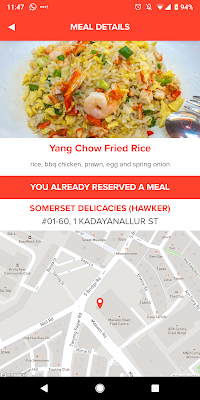 You may have heard of MealPal or received one of their brochures from their marketers in the CBD area of Singapore. Interestingly, they change the number at the end of the link, as they mark the campaigns that they are launching and perhaps the compensation that are paying those folks passing out the brochure leaflets. It's easy to pass them by, as you may not see the value yet, so I curiously wanted to see if I would make a saving and signed up to give them a try. Why I started using MealPal? I wanted to try what folks were talking about and to try eat more healthy and delicious food. At the time of writing this post, they offer two plans. That is, MealPal works on a subscription basis where customers will pay a monthly fee of $95.88 to receive 12 restaurant meals. 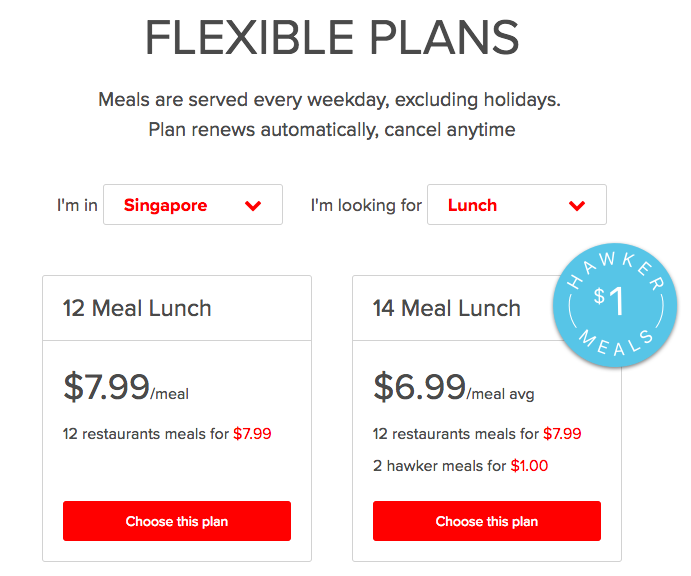 MealPal works on a subscription basis where customers will pay a monthly fee of $97.88 to receive 12 restaurant meals. You choose meals from 5pm the day before up to 10am the day. 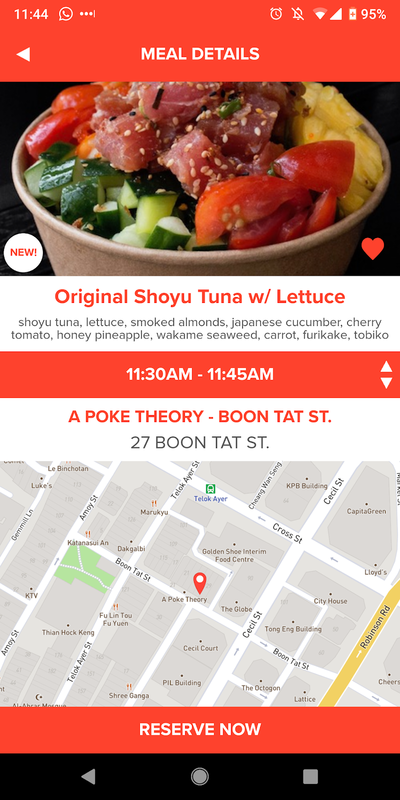 You can pick up meals from 11:30am to 2:30pm weekdays. It is not delivered to you, you will need to pick it up yourself. Generally places will allow you to skip the queue to pick up your food, but you may still see yourself in the "did you just push in?" lens of those fellow work lunch crowds queuing up. 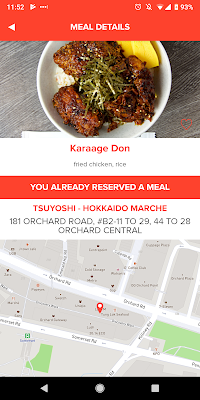 As this meal subscription concept is not well understood yet. What is available on MealPal? Screenshots of example options from their app I have posted below. 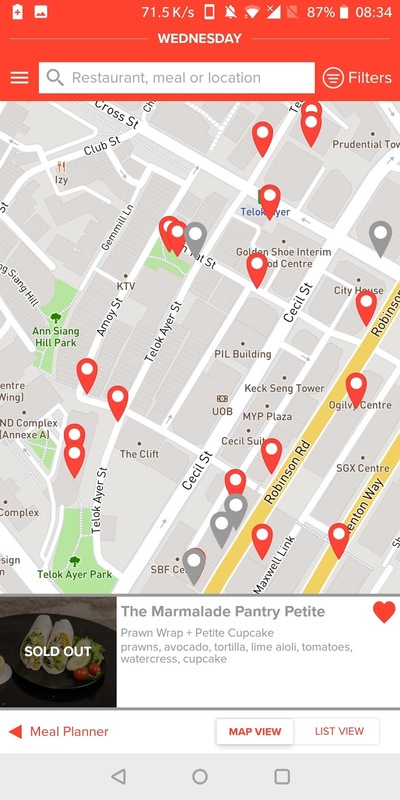 The service is available at four business hubs in Singapore - Buona Vista, Novena/ Orchard, CBD area (Tanjong Pagar and Raffles Place). It is not available on weekends, Saturday and Sundays. 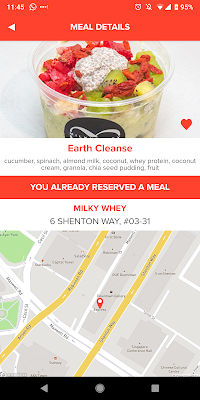 Can I pause my MealPal subscription? Yes. 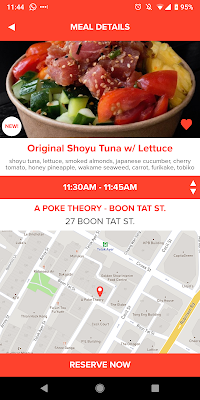 There is a function to pause your meal subscription. It's quite useful and I highly recommend you explore it once you sign up. What are the gotchas/ cons/ tips for using MealPal? 30 day time limit to use what I call "MealPal meal tokens". There is up to 20 business days in a month (Mon-Fri x 4 weeks = 20 days) so you have up to 20 days to use your MealPal meal tokens. If there is a public holiday or you are away on leave or traveling, you will have less days to use up the MealPal meal tokens. That said, if you reach out to their support they are generally helpful in helping extend the time, though there is no guarantee and the general tone is this is an early market entry gesture as it may not be sustainable for them to delay revenue for their business constantly. 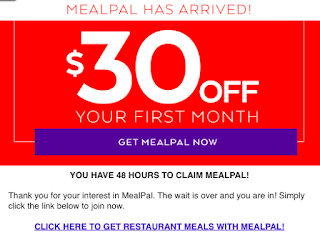 Put your MealPal on hold before auto bill for next month kicks in - It's a subscription based service, so you need to set the "hold" subscription option before the next month billing cycle kicks in, as you'll be automatically paying for the service monthly. You can only one meal a day maximum - This may it difficult for me to handle when I was working to utilise my MealPal subscription after traveling for work for a week and around public holidays. 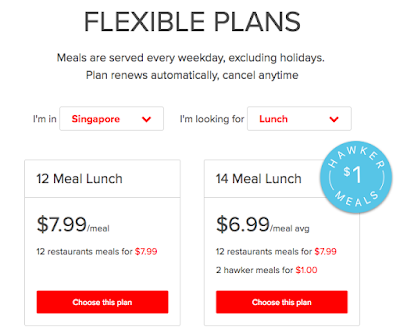 I effectively lost 7-8 business days due to it, and found it more of a hassle to must use my MealPal subscription. You are still picking up your own food - No delivery, and you are still picking up your own food. Vendors can be more or less generous - My experiences that I have seen from the vendors are mixed. Sometimes it's smaller portions than usual just for MealPal customers. 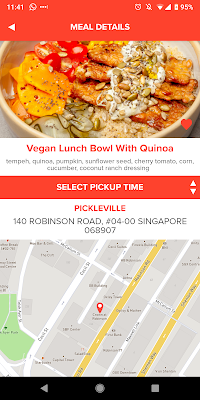 At times I only found vegetarian food options available at my ideal places to eat, if there are some meat options but they sell out really fast. 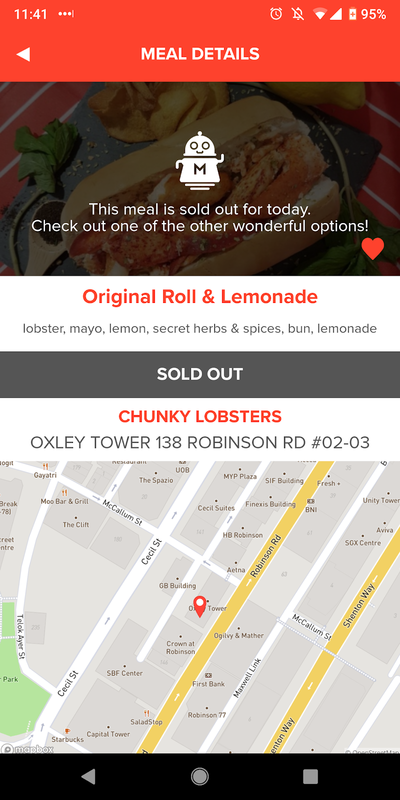 You also will only know what meal options are available the day before. During my 30 day trial, I ate more smaller portions and vegetarian food than I have for a long time. Not necessarily a bad thing, but depending on the options selection, may be your experience of it. 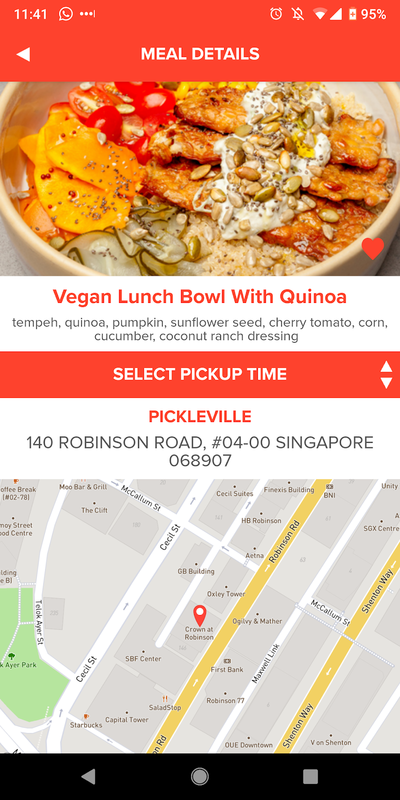 What makes MealPal different from the other food players? You pick up meals yourself. No delivery. They also offer dinner as well. So it is worth trying? Depends on your office location and eating habits. It is worth trying if you eat out a lot and based on your office location you can see if the options there worth well for you. As everyone's experience will be different. 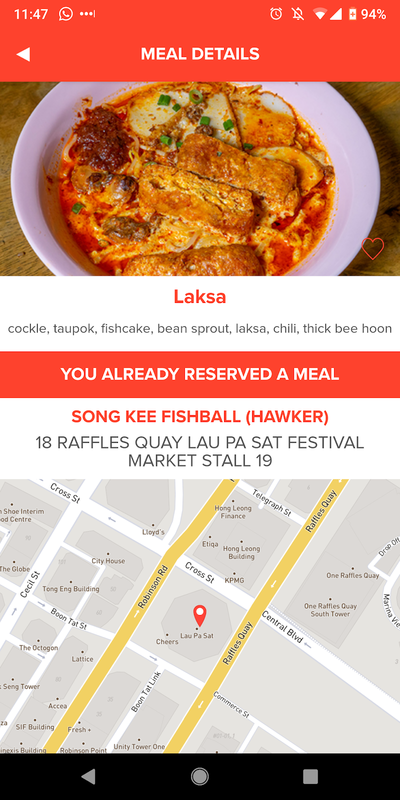 As it's like having your office location in a specific part of the MealPal restaurant and hawker center market. My goals were to try take advantage of the heavier eating options, though with the general availability and my office location it did not always work. Great, where do I sign up? You can sign up using this referral link here. 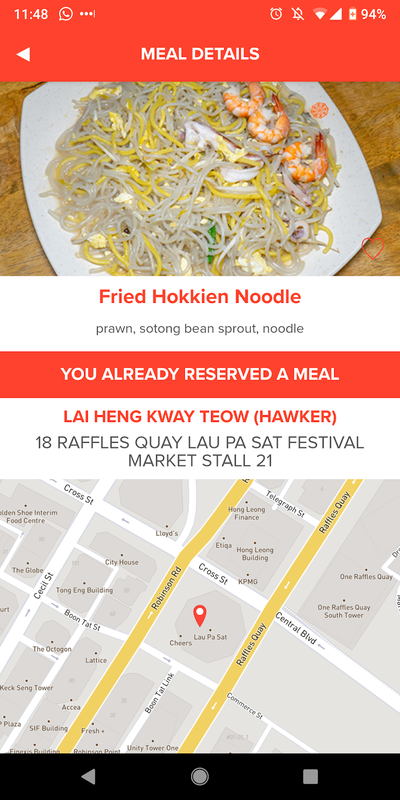 You will receive a 30-50 SGD voucher to use once you sign up. 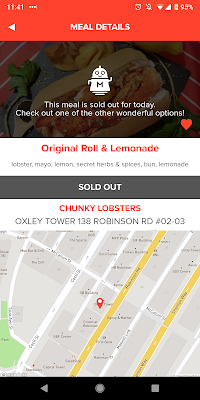 Here are some screenshots of the food options available. 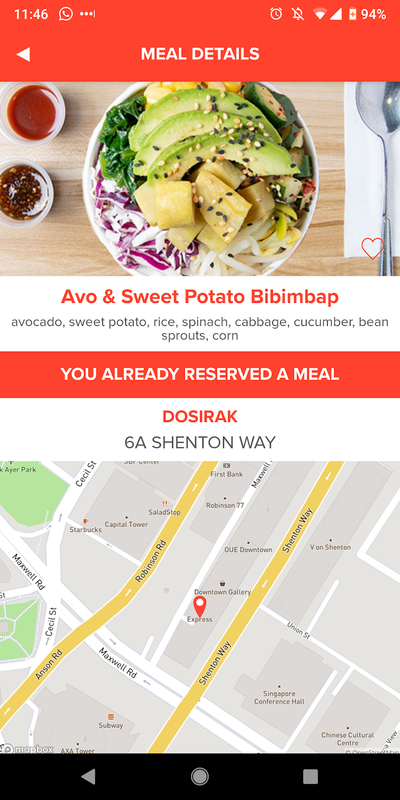 Here's a dinner map for MealPal. 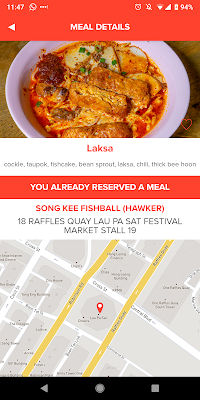 Looking to understand how the MealPal Lazada voucher works? You can read more about the Lazada voucher that they offer on my next post too. As I wrote about my experience redeeming that voucher that they are offering if you signed up from one of their marketers in the CBD. 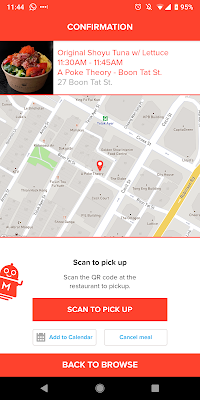 MealPal Lazada voucher how does it work?